As part of my “Quantitative Analysis in Political Science” course, my students and I recently polled 475 Bowdoin students and asked a range of questions about current issues on campus. 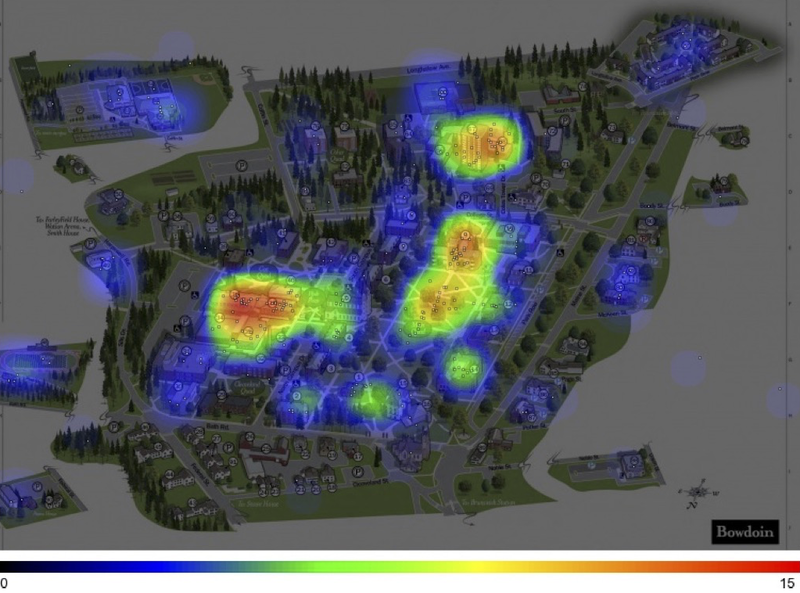 One question asked students to click on a map and identify their favorite place on campus. Here is the heat map. The quad, Smith Union, and Thorne/Coles top the list! More results to follow as we finish data collection.